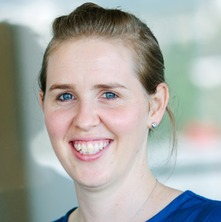 Catherine holds an industry funded Lives Lived Well Postdoctoral Research Fellowship at the School of Psychology, University of Queensland, and is also a registered clinical psychologist. Catherine has over ten years experience in school-based research focused on bullying, alcohol use, wellbeing and mental health among young people. She also has clinical experience working with children and young people in community and acute care settings. In her current role, Catherine is closely working with Lives Lived Well staff, examining current treatment models and outcome assessments for their alcohol and drug treatment services. She has also conducted pilot prevention trials with RedFrogs to reduce substance use and improve mental health and wellbeing at Schoolies, and is undertaking a six year longitundinal study, Adolescent Aware, with over 2000 Grade 7 and 8 students (now Grade 10 and 11), from over 10 schools across South-East Queensland, investigating a range of social cognitive factors, as well as sleep, technology, diet, peer and personality factors, that underlie youth substance use, bullying, wellbeing and mental health. Is the mental wellbeing of young Australians best represented by a single, multidimensional or bifactor model?